Balconies are traditionally widely used in the architecture of public buildings and private houses. 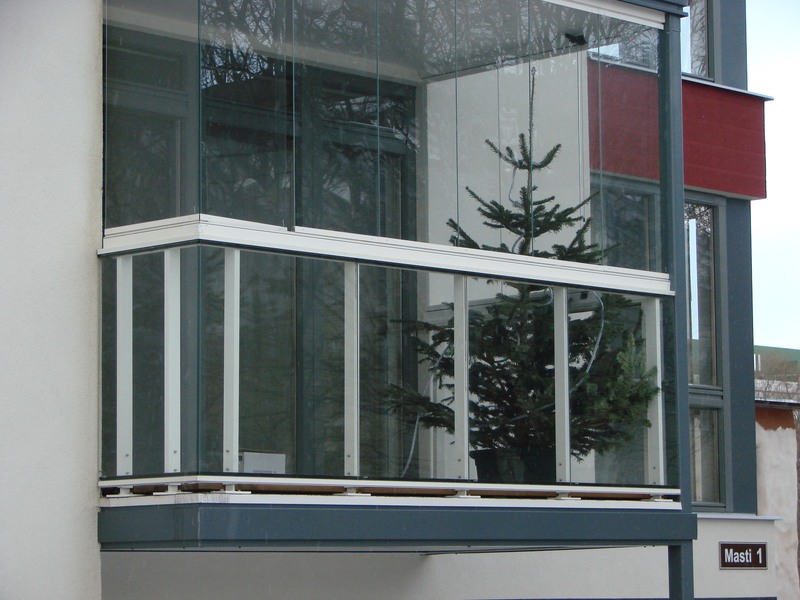 The importance of the balcony as a decorative element can hardly be exaggerated. 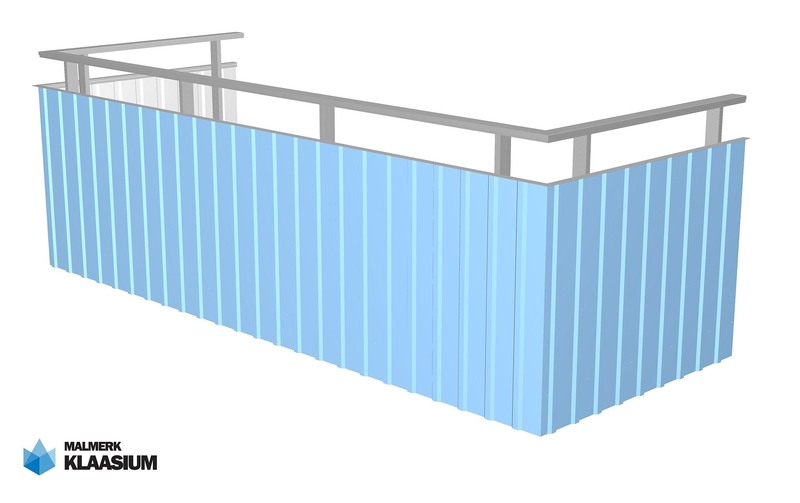 Balcony is a platform with rails (balcony fence) that is fixed on a protrusion from the wall beams. Balcony railing is an important visible part of the balcony that defines its appearance and style. 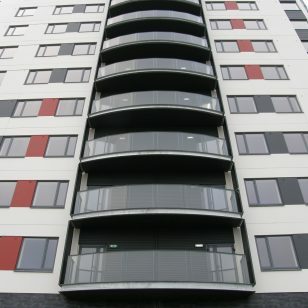 That is why when designing a building’s balconies, special attention should be paid to the choice of balcony railings. Malmerk Klaasium is designing, manufacturing and mounting aluminium balcony railings. By combining different profiles and glasses suitable solution can be found for almost every customer. 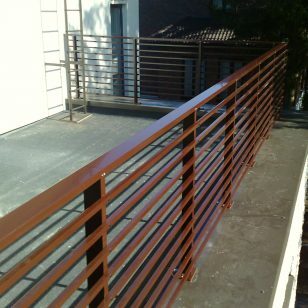 Why to prefer railings made of aluminium compared to other materials? 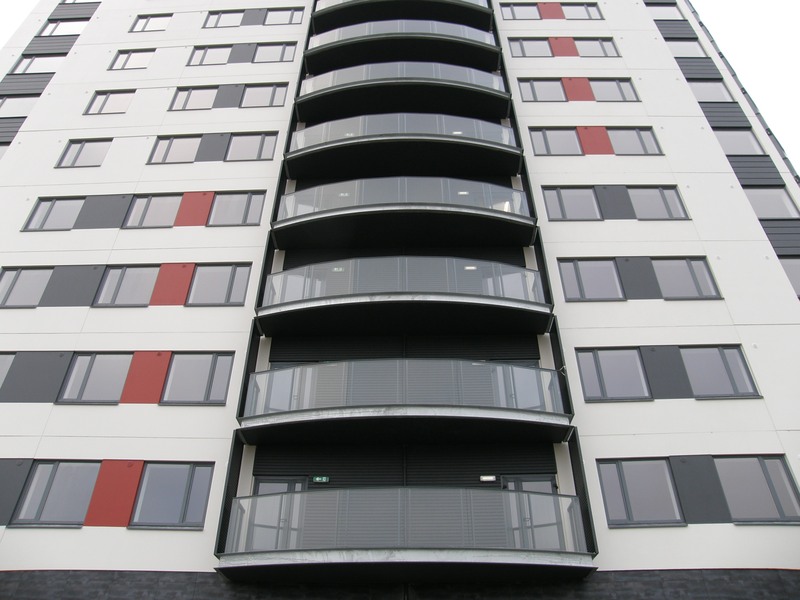 Aluminium railings of the balconies have a number of advantages compared to balcony rails and guardrails made of other materials. They are optimal in quality-price ratio. 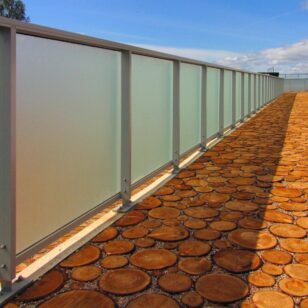 But not less important is that glass-aluminium railings are modern and decorate the building. 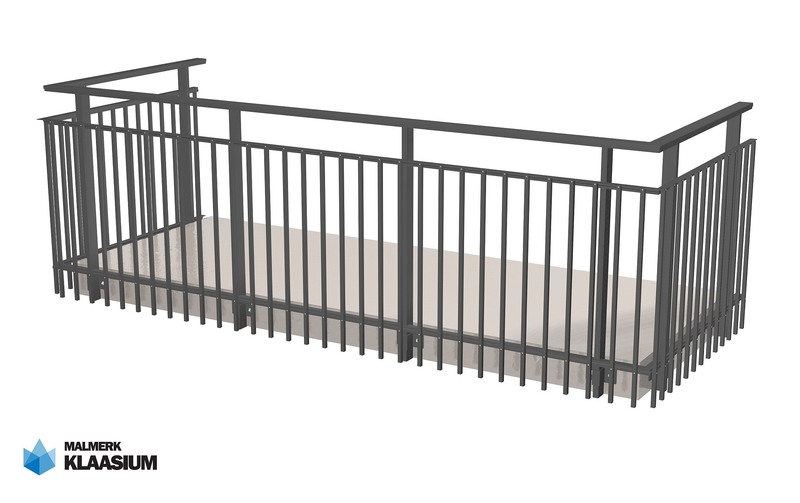 There is mainly four types of railings in our product range: glass-aluminium railings, full glass balustrades, rod railings and custom railings. 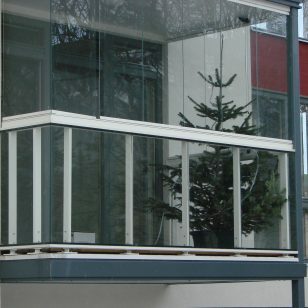 Glass-aluminium railing is modern, airy and almost maintenance-free. That kind of modern balcony railings are not only meant for the new buildings, but it is ideal solution also for renovating the older buildings. 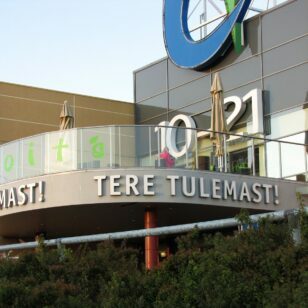 Main keywords in today’s architecture are modernity and airiness. 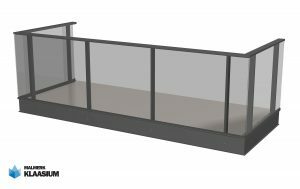 Full glass balustrade is ideal solution to fulfill this purpose, because tempered and laminated glass is so strong that it can be bearing element by itself. 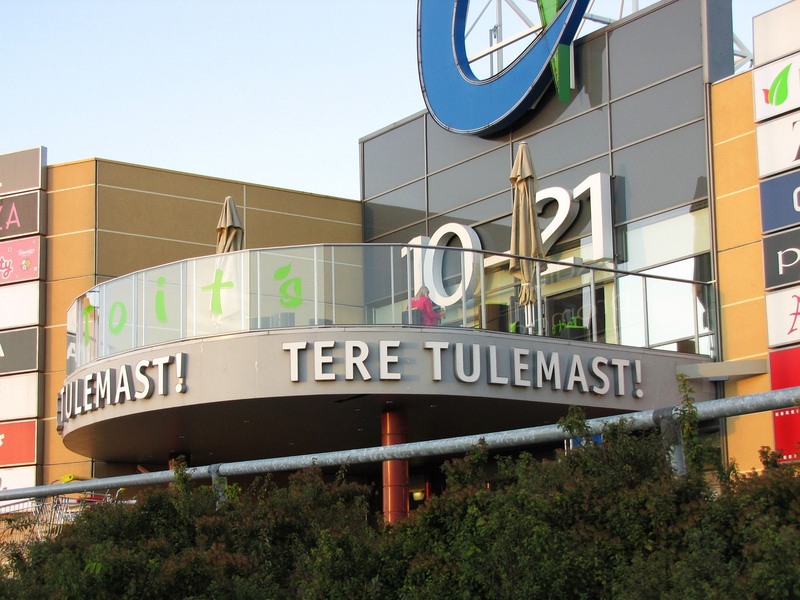 Rod railing is widely used in Scandinavia and because of high demand we have added it to our product range. 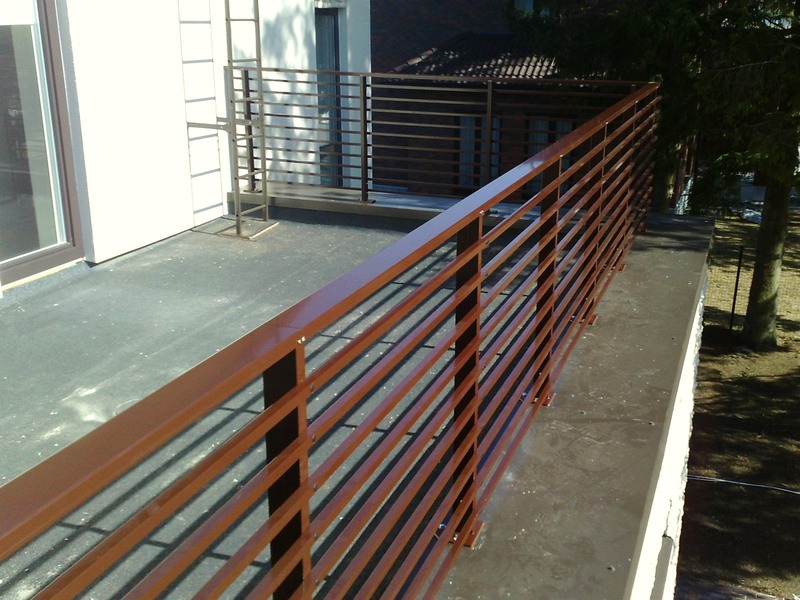 It is aluminium railing that require hardly any special maintenance and is easy to mount. 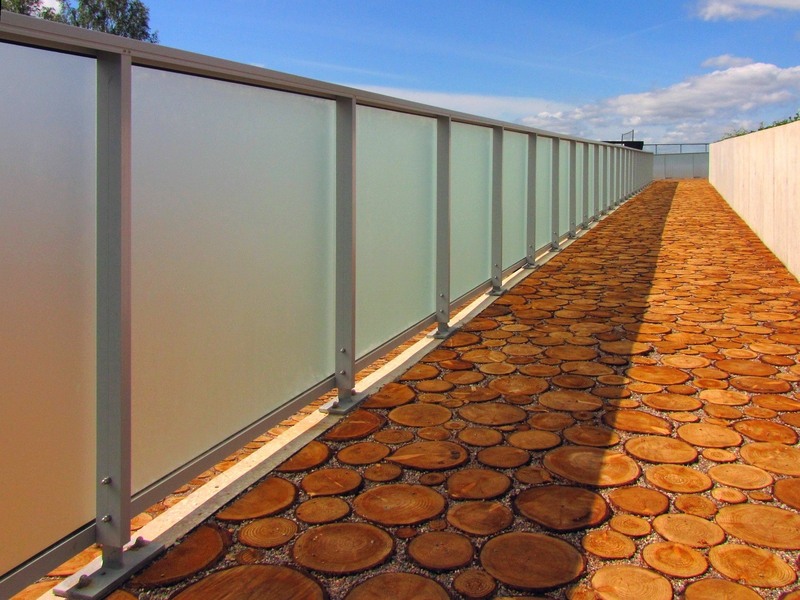 There is no glass used for that type of railing. 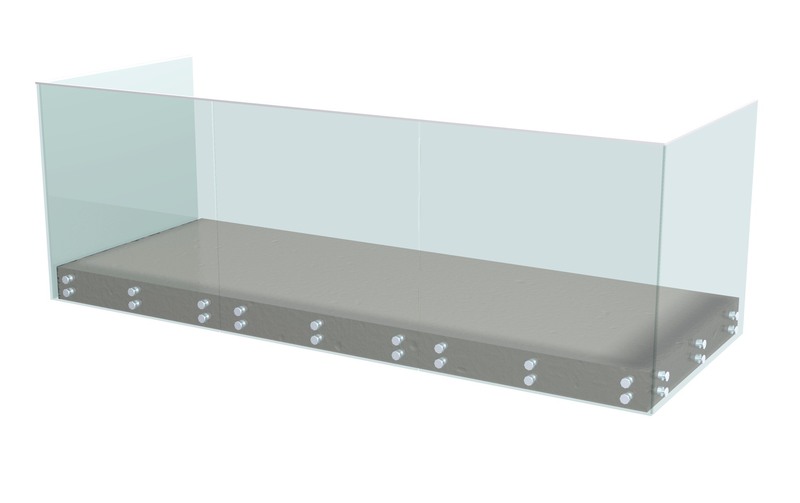 Next to previously listed standard railing solutions are available also different custom railings. We work on the development of the railing solutions daily in order to be able to help our customers with custom solutions as well.